About 2,000 Quadra-Fire Mt. 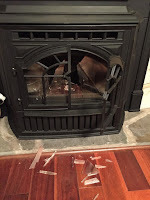 Vernon E2 pellet stoves and inserts are being recalled and repaired, due to high pressure that can lead to explosions that shatter the glass in the door. The company says the stove is safe if properly operated. The Consumer Product Safety Commission issued a voluntary recall on July 9, 2015. Problems were first reported to the company by consumers in the winter of 2015. The problem is unique to this model and does not present a safety issue in other models sold by Quadrafire or any other manufacturer, according to pellet stove experts. If you own a Mt. Vernon, follow instructions in the voluntary recall notice and the company will repair the stove free of charge. Some consumers and stove retailers contend that the stove was poorly designed and even if a stove is not operated properly, it should not build up pressures that can lead to explosions. 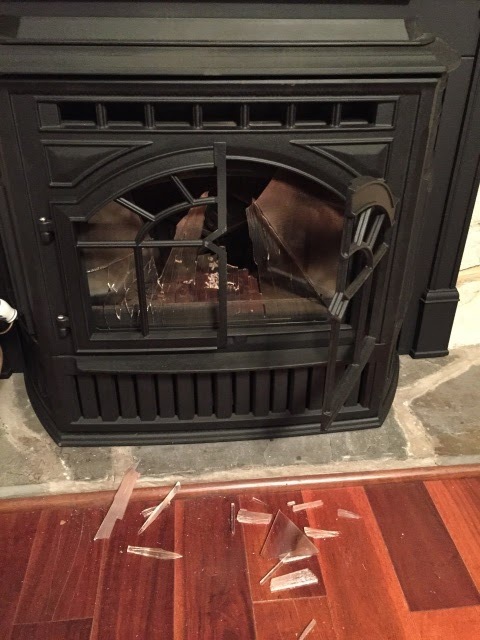 At least 6 stoves have malfunctioned, leading to glass in the front door shattering, sometimes sending flying glass through rooms. No injuries have been reported. AGH believes the EPA should ask that this stove be re-certified since changes to it are substantial. A number of discussions in independent chat rooms have raised the issues and include commentaries by affected consumers about how Quadra-Fire has responded. The Alliance wrote to HHT asking for clarifications about what caused the malfunction and whether the stove would be 3rd party tested again for safety. We formally asked for information for our newsletter, which may have led to a less responsive reply, which is reproduced below. I wanted to send these responses as promised, although I see the newsletter has already gone out. The responses below in RED are provided by our VP Product Engineering, Gregg Achman. 1. Will HHT be sending this stove back to any 3rd party lab for safety testing? When a modification is made to a Hearth & Home Technologies product, all necessary certification bodies are informed and the required testing is completed. Updates and notifications are published as necessary, and in accordance with the respective entities. 2. In your certification testing with OMNI, did any of the tests involve running the stove as the consumer might do it, instead of following the owner's manual? OMNI follows the testing protocols set forth in the test standard that the appliance is being certified to. The test standards follow ANSI protocol, and go through a revision process that allows for review and comment from interested parties to address future requirements and enhancements for performance and safety. 3. From your website and from talking to various HHT dealers, its confusing as to whether you consider this mainly a problem with incorrect operation by consumers, or whether its a flaw in the stove operating system. Your site says that the stoves in question will receive an enhanced control board "if necessary." Are there some stoves that are not getting an enhanced control board or do all stoves in the recall get the enhanced control board? HHT issued this recall proactively and in conjunction with the CPSC to reinforce our commitment to consumer safety. No injuries related to the Mt. Vernon E2 stove or insert have been reported. Issues of glass breakage are only related to Mt. Vernon E2 stoves and inserts when not maintained as outlined in the owner’s manual. This recall affects an isolated set of units; if the unit is verified to be within the select group of recalled stoves or inserts, the control board should be replaced. HHT dealers have proactively contacted all consumers with affected stoves to have them repaired. Lastly, you mention being unable to connect with someone at HHT. While I can’t speak to previous relationships, I do want to open the door for you to connect with me when you have questions moving forward. We always appreciate the opportunity to share factual information about our products and/or to share our passion and enthusiasm for the industry, and I can typically turn around responses in 2-3 business days.